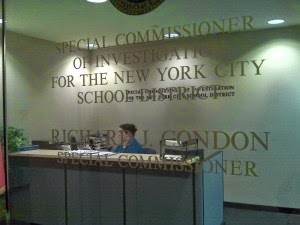 Anyone in the NYC public school system today must read an article I wrote in 2009 for my website Parentadvocates.org on the establishment of the office of the Special Commissioner of Investigation (SCI). 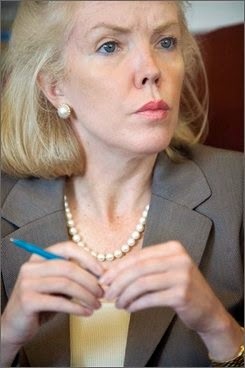 The way that Mike Bloomberg and his appointed non-Attorney, Richard Condon, family friend of Rose Gill Hearn and her dad James Gill, have used their authority to destroy lives and fracture due process is astounding and, in my opinion, ugly. Parents, teachers, administrators, and children are made victims by so-called "investigators" who are given immunity as they falsify records, change careers and commit fraud. My highlighting these agents of doom is part of my expose of the harm that the Department of Education continues to do to innocent people, all for political/financial gain. By the way, former Department of Investigation head Rose Gill Hearn now works for Bloomberg Associates, of course......and the Campaign Finance Board. She's really busy. “I am sad to report that the Commission found the Inspector General’s operation woefully inadequate. The office wastes scarce resources that should be devoted to investigating serious crime on ineptly-run investigations of internal management matters. The office lacks experienced personnel and meaningful supervision. The office does not keep track of it’s own work accurately or generate reliable statistics that would enable the public to assess it’s effectiveness. Not surprisingly, therefore, the office has forfeited the confidence of the system’s employees: 41 percent of the teachers and supervisors who responded to our survey reported that they believed the Inspector General was either minimally effective or completely ineffective. This pervasive distrust of the system’s watchdog is a devastating indictment of the office’s performance and a critical impediment to effective policing. Executive Order No. 11 was issued on June 28, 1990 by NYC Mayor David Dinkins, creating the office of the new Deputy Commissioner. A commission charged with investigating corruption in the New York City schools has released a final report calling for the establishment of an independent investigatory agency appointed by the mayor to monitor wrongdoing in the district. The final report of the Joint Commission on Integrity in the Public Schools, released May 31, summarized findings that had previously been made public. But it also contained new criticism of the board of education's procedures for disciplining teachers and principals, and fresh disclosures of $94,000 worth of missing computer equipment in one community school district. The report revealed, in addition, that the same community district had spent $17,000 to give its employees electronic paging devices. In a news conference held to announce the report's release, James F. Gill, chairman of the commission, blamed Robert F. Wagner Jr., president of the board of education, for many of the system's failings. Mr. Gill called the board a "sleepy-eyed lumbering brontosaurus primarily interested in grazing." When asked who was to blame for the situation, Mr. Gill responded: "I'll say it--Bob Wagner. He's the president of the board of education. Bob Wagner. Bob Wagner. Bob Wagner." However, Mr. Gill said in an interview last week that he had "no intention of attacking Bob Wagner personally." "I hold him in high regard," he said. "The board of education is the group that has overall responsibility for everything in the system, and it should be accountable." Mr. Wagner said last week that he attributes Mr. Gill's comments to the fact that the two disagree over what powers an independent inspector general should be given. The board president said he favors giving the inspector general special prosecutory powers; Mr. Gill said such powers would conflict with the duties of the regular prosecutors' offices. Mr. Gill charged that the board of education's current inspector general, Michael Sofarelli, has been lax in conducting investigations. "It's an investigatory failure, not a prosecutorial problem," he said last week. Mayor David Dinkins is expected to make a recommendation on the issue within a month. Mr. Wagner also noted that several of the commission's criticisms, including the charge that the board had failed to discipline teachers, were in areas affected by state regulations that were not within the board's control. The commission was appointed by former Mayor Edward I. Koch and the board of education in 1988. The most dramatic moment of its investigation came last year, when the board of Community School District 27 was suspended following allegations of corruption made by Colman Genn, the district's superintendent. The report recommended that the New York legislature give district superintendents, rather than community school boards, the power to hire teachers' aides and paraprofessionals. It did not endorse Chancellor Joseph A. Fernandez's proposal to take away local boards' power to appoint school administrators. LEAD: The chairman of a commission investigating New York City's schools yesterday called the Board of Education a 'sleepy-eyed lumbering brontosaurus primarily interested in grazing' and singled out its president, Robert F. Wagner Jr., for blame. The chairman of a commission investigating New York City's schools yesterday called the Board of Education a 'sleepy-eyed lumbering brontosaurus primarily interested in grazing' and singled out its president, Robert F. Wagner Jr., for blame. 'They seem to have believed that they could just let those districts stew in their own juices, just send them a memo or directive once in a blue moon and then let them sink or swim on their own,' Mr. Gill said. Mr. Gill said Mr. Wagner was 'very dedicated' and his 'heart was in the right place.' But, he said, he and the rest of the board were 'lumbering' along and had not even responded promptly to repeated findings by his commission of corruption and inefficiency within the school system. Mr. Wagner, he said, did not dismiss his Inspector General, Michael Sofarelli, even though the commission revealed significant inadequacies in how the office conducted its investigations of wrongdoing by employees. 'Why would you want to continue a guy who has run the office in the way he had run it,' Mr. Gill said in an interview. Mr. Wagner, he said, also did not 'exert his influence' to obtain the removal of the chief investigator for the Board of Examiners after the commission exposed serious flaws in the screening process for new teachers. That process, Mr. Gill said, permitted a teacher convicted of sexual abuse to get appointed to a Bronx junior high school. 'It's a reflection of Jim's impatience about the pace of change within the system and how difficult it to make things happen,' Mr. Wagner said. Others 'were left sitting in storage' and went unused by students. Still others, the report said, 'simply disappeared,' though the investigators could not determine whether they were stolen or misplaced. LEAD: In a stinging report issued yesterday, the commission examining the New York City public school system said the work of the Board of Education's chief investigative arm was 'reminiscent of the Keystone Kops' and deserved blame for much of the corruption and crime within the system. In a stinging report issued yesterday, the commission examining the New York City public school system said the work of the Board of Education's chief investigative arm was 'reminiscent of the Keystone Kops' and deserved blame for much of the corruption and crime within the system. The most dramatic example of ineffectiveness by the school system's Office of Inspector General, the Gill Commission charged, came in the case of Matthew Barnwell, a Bronx principal arrested by the New York City police in November 1988 on charges of buying crack. The Inspector General, the commission said, learned that Mr. Barnwell was using drugs a year before the arrest, but bungled its investigation with 'aimless, lethargic and sporadic' work. 'The investigation was so shoddy that it could be a textbook example of how not to conduct a criminal investigation,' said the report by the commission, which is known formally as the Joint Commission on Integrity in the Public Schools. The arrest of Mr. Barnwell set off a wave of investigations into allegations of corruption in the school system. This week, three former Bronx school officials who were indicted in one of the inquiries were acquitted of charges stemming from the removal of a baby grand piano from a school. [Page B3.] In its report yesterday, the Gill Commission recommended that the office be replaced with a 'special commissioner to investigate the public schools' who would be appointed by the mayor, be in charge of a squad of police officers, and be given the power to issue subpoenas and make arrests, powers the Inspector General's Office now lacks. The Inspector General's Office was set up in 1980 to serve as the school system's internal watchdog and handle a wide variety of crimes and violations of school regulations, including thefts of property, political hiring and abuse of students. In December 1988, after Mr. Barnwell's arrest and several newspaper accounts of corruption, the Gill Commission was created. One of its purposes was to look at how well the school system was policing itself. The commission's study, titled 'Investigating the Investigator' constituted a 'scathing indictment' of 'bloated, largely ineffective operation whose investigations are often reminiscent of the Keystone Kops,' the panel's chairman, James F. Gill, said at a news conference. The Inspector General's 60 investigators, the report said, lack law-enforcement and legal experience, are hamstrung by poor supervision and are not scrupulous about protecting the confidentiality of their sources. 'I cannot escape the conclusion that some of the responsibility for the corruption that we have uncovered in the school system rests squarely on Inspector General Michael Sofarelli's office,' Mr. Gill said. In a response, Mr. Sofarelli said the report was 'written in a sensational headline-hunting way' and took unnecessary 'cheap shots at him and his staff. He said his office's inquiries had led to 70 arrests since 1987, including the conviction of 26 school building inspectors charged in a kickback scheme and the suspension or indictments of three school district superintendents. He said his office, like the offices of the 26 other inspectors generals at city agencies, was hobbled by low starting salaries for investigators, who are paid about $25,000 to start, which made it difficult to recruit the best investigators or former police officers. Mr. Sofarelli's deputy, Conrad W. Reitz, said investigators for the Gill Commssion had themselves bungled the arrest of a high school teacher who was buying drugs. Mr. Sofarelli, the report said, was informed of the call the following day, but the first interview to try to confirm the allegation was not conducted until March 10, more than three months later. A chronology provided in the commission's report indicates that the investigator on the case conducted interviews at the rate of one a month with parents, teachers and administrators. Before any action could be taken by the office, Mr. Barnwell was arrested - without the office's knowledge or participation - by the New York City police as he tried to buy two vials of crack on a Manhattan street. He was convicted of drug possession in January and dismissed. In his rebuttal, Mr. Sofarelli said the original allegation of drug use was included almost as an 'afterthought' in the memorandum he received and so failed to trigger the appropriate urgency. Moreover, he said, the office handles 2,900 complaints a year and many of them are efforts to 'get back' at people. Mr. Gill's concerns about the Inspector General were more sweeping than just the Barnwell case. The office, he said, had only three lawyers, and only one of those - Mr. Sofarelli, a former prosecutor in Brooklyn - has any experience in criminal matters. Only one of the office's 60 investigators, Mr. Gill said, has a background in police work. 'If he was working for me, he'd go,' Mr. Gill added. Mr. Sofarelli serves at the pleasure of the 7-member board of education and was not hired by the chancellor. Mr. Gill also told of breaches in confidentiality, including one investigator who left his name and title at the school that was being investigated. Such breaches, Mr. Gill said may explain why Colman Genn, the superintendent of District 27 in Brooklyn, went to the commission rather than the Inspector General with his startling allegations of political hiring. Mr. Gill said that a survey of school employees taken by the commission showed that 44 percent of those interviewed would feel 'uncomfortable bringing a complaint' to the Inspector General. In responses to the commission, both Mayor David N. Dinkins and Robert F. Wagner Jr., indicate interest in or support for supportive the idea of creating an investigative agency totally independent of the Board of Education. Mr. Wagner, however, pointed out that unless salaries were raised, the independent office would also not attract the best law and police school graduates. LEAD: These are excerpts from conversations taped by Colman Genn, superintendent of School District 27 in Queens, with James C. Sullivan, the school board treasurer, Samuel Granirer, board vice president, and William Sampol, a former Republican state legislative aide seeking a $42,000-a-year district job, and others over a course of seven months. GENN: Jimmy, you're not going to take all the blacks off the list because . . .
SULLIVAN: And a year from now, your contract is going to be up. And I'm telling you this, as your friend. As board members who'll probably be sitting here. GENN: I'm sure you will all be sitting here. SULLIVAN: O.K. Do you understand what the considerations become then? And how the ante becomes, becomes a little higher under those new guidelines? GENN: I understand, but I can't let that become. GENN: How I run my life . . .
SULLIVAN: I understand that. But you understand what our concerns are. GENN: I understand that I would not get another contract. SULLIVAN: You know, nobody's looking to fleece anybody. Honestly we're not, Cole. SULLIVAN: If I thought, if I thought that they were really hurting instruction, wanting a whole (expletive) piece that would make a big, major difference, I wouldn't go for it. Honestly, at the end of the day, I'm a political leader - that's why I'm here. SULLIVAN: And I make sure my people get (expletive) jobs. When I came into this district, and it's true, Cole, there were three Irish supervisors out of 157 people. Now, when the blacks come up, they say, 'Well, don't tell us that there aren't enough blacks that are qualified.' That's true. SULLIVAN: But don't expect me to believe that about my own people either. GENN: You left a resume with Tony (an unidentified district worker) . GENN: O.K., you brought him the resume. The resume that you brought him is, really doesn't focus at any education kinds of activities. GENN: Umm, and it's my understanding that, according to Jimmy (Sullivan) , that he wants me to tailor it, the job description, umm, to meet you skills and your background. SAMPOL: O.K. Or I can change my resume around a little if you like. What, whatever. GENN: Yeah. I think I'll . . . if you could get me a current resume. GENN: And focus on the educational things that you've done. GENN: Umm, and deal with those kinds of issues, umm. I can then either sit with you or, umm, you know, work it out with you. See also the NY Times' articles on District 27. 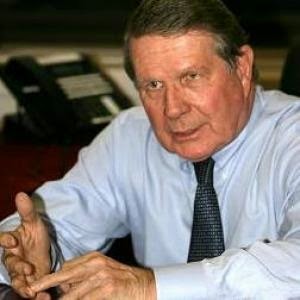 Ed Stancik was appointed as the first Special Commissioner of Investigation of the New York Public Schools in 1992. Hisindependence from the Board of Education and the Mayor bothered both Commissioner Hearn and Mayor Bloomberg, so when he died at the age of 47 on March 12, 2002, there was alot of talk about how to control this office...so that "favored" administrators, teachers, and parents would not be caught. Mayor Bloomberg issued EXECUTIVE ORDER NO. 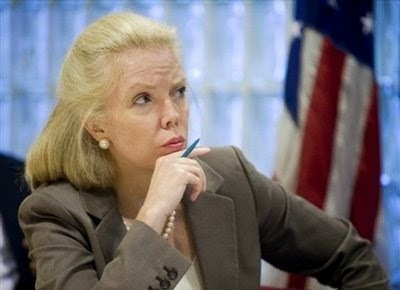 15 on June 18, 2002, which changed the Special Commissioner's required background from an Attorney to a person with "at least five years of law enforcement experience". Then, Rose Gill Hearn, the Commissioner of the Department of Investigation, (and James Gill's daughter) appointed her dad's friend, Richard Condon. Mr. Condon is not an attorney, as required in Executive Order No. 11, he was appointed by his friend Commissioner Rose Gill Hearn after Mayor Bloomberg changed EXECUTIVE ORDER 11 to EXECUTIVE ORDER 15, which opened the door to an individual who was not an attorney to fill the Special Commissioner's job. It is fair to say after speaking with parents, teachers, and administrators of NYC public schools that Mr. Condon has brought the NYC Public School system to a new level of lawlessness and corruption. The case of Teddy Smith is an example of this. By all accounts, he has created a reign of terror that will never be forgotton, nor, sadly for the current education administration, forgiven. See also "Investigating the Investigators and the Gill Commission Final Report"